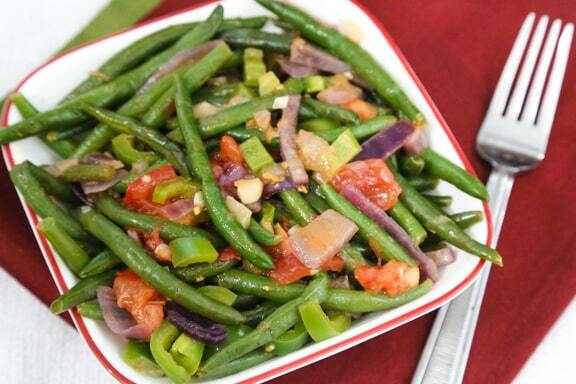 This nippy preparation of green beans is adapted from a traditional recipe from the Southwestern U.S. Fresh tomatoes and jalapeños combined with tender fresh green beans make for a tasty summer side dish. You can use whole organic green beans when fresh are unavailable. Photos by Evan Atlas. Heat the oil in a large skillet or saucepan. Add the onion and sauté over medium-low heat until it is translucent. Add the garlic and green beans and sauté, stirring frequently, for 5 minutes. Add the remaining ingredients and simmer, covered, until the green beans are tender. This will take approximately from 10 to 20 minutes, depending on their size and thickness. Serve at once. 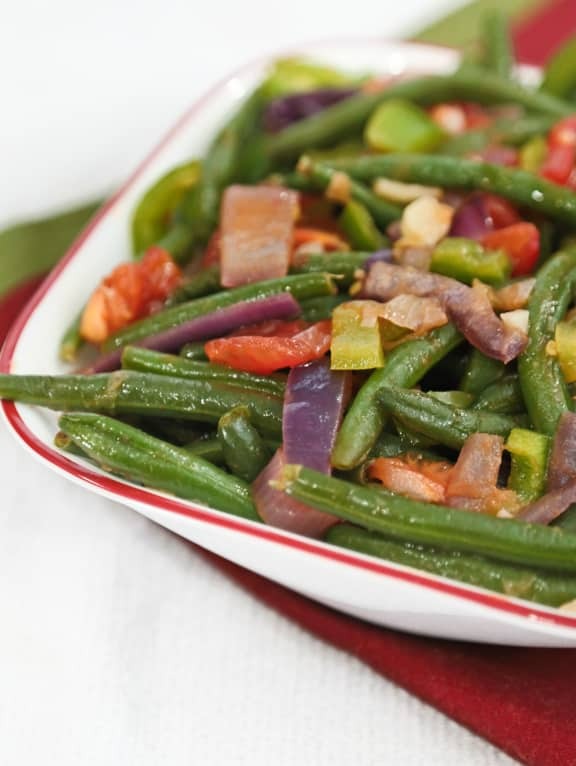 Here are more recipes for making the most of green beans.